It seems the older I get the harder it is to get through a whole book, even ones that I like, so when one comes along that makes me stay up all night, I take notice. 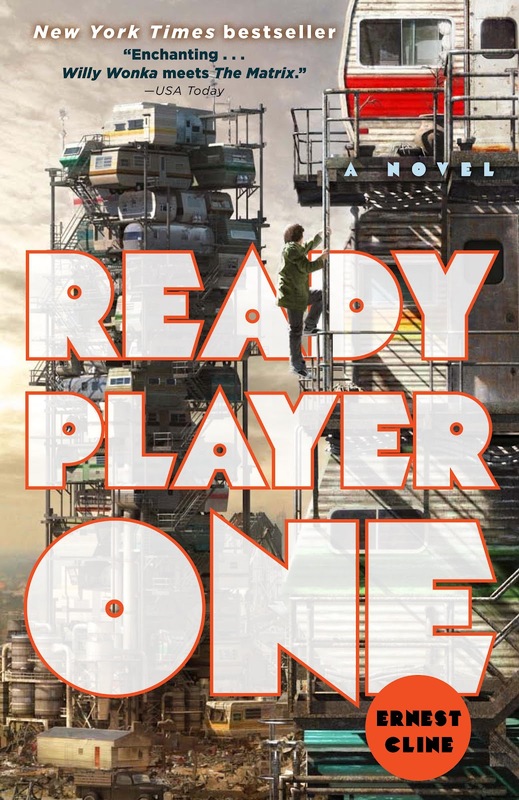 Ready Player One is why I still read books, hoping that just one of them will have me ignoring the fact that I have to get up in the morning and reading until 3 AM. I devoured this book in 2 days. To put that in context, I have 1500 books in my physical library and over a 100 on my Kindle. That’s not even counting the books that I’ve thrown away. In other words, I’ve read a lot of books, so I’m a bit jaded. If it’s not a tour de force, my attention wanders fast. I understand why so many agents and publishers just get jaded and reject 99% of what comes in. They’ve read so much that they get bored easily. They need to see something new, a fresh, and original. That’s Ready Player One. The book centers around one brilliant idea. A giant virtual reality system, called the OASIS, is where most people spend their lives. The real world has degenerated into a dark place, with an energy crisis and rampant poverty. Most people escape to the OASIS, where they go to school, shop, play games. So far, so standard. But this is what makes it stand above the herd: The creator of the system, a mega-wealthy genius, decides to give away his 246 billion dollars when he dies in an elaborate Easter Egg hunt inside the game. This central mystery of solving the game and winning the massive amount of money drives everyone, including the reader through the whole story. His clues are obscure, built around 80s pop-culture, of which he was an obsessive fanatic. At first, everyone is hunting for it, but after 5 years, with nobody finding even the first of three keys needed to unlock the prize, most have given up, except for a dedicated group of young pop-culture and game obsessed fanatics called gunters, short for Egg Hunters. And then all of a sudden, a young 18 year old gunter from the “stacks” a trailer park farm, finds the first key, his name the only one atop a public scoreboard and all hell breaks loose. The hero of the story, Wade Watts, goes by Parzival online (Percival was taken as a handle). He’s a lonely, uber-geek, hacker and gamer, with his only friends found inside the OASIS, people he’s never met in person. Of course, he must win the heart of another online geek girl and gunter named Art3mis and work with the few other gunters who have his back to win the prize and keep it from falling into the hands of the evil Sixers, a mega-corporation who recruits a team of online gunters and spends millions to win the prize. The sixers get their name because they are only allowed to name their avatars by coporate ID, the numbers of which start with six. Naturally, the young, honor bound gunters nickname them the Sux0rs, and the Suxors must be stopped at all costs. The evil gunters want to take over the OASIS, charge a monthly fee, fill it with advertising, and destroy its soul, making it a playground for the rich only. Oh and they’re willing to kill to win the game, kill you in the real world. They’re trying to kill Wade and any other young, idealistic punk that wants to get in their way and maintain the purity of the OASIS. There’s a lot to love about this story if you grew up reading Slashdot, eventually found that passe and switched to Reddit, only to find that sucked after awhile too. If you know what I’m talking about, this book is for you. If you grew up in the 80s, played D&D and watched a lot of TV and movies, then you’ll know a lot of the references in this book. I guarantee you won’t know them all. If you do then you are a truly l33t uber-geek (and you have no life). The whole story is a thinly veiled allegory about the modern world. Isn’t most sci-fi anyway? I see it is a battle between the young, free, open-source, engineering nature of the internet and the forces of control and commerce that want to turn it into a locked down prison and vast corporate waste land. If you grew up reading and watching the same stuff I did, you’ll probably see this too. You’ll recognize the fight. It reminds me of the “information wants to be free” ideology I grew up with. The story moves at a rip-roaring pace, barely slowing down to take in all the sites. That makes it like thriller, wrapped in a mystery. About the only thing that doesn’t work is the overdone pop-culture references. Most of them are great, but there are a few chapters that are just too much. No worries, just skip a few paragraphs and you won’t miss a thing other than another reference to an obscure Gary Gygax creation or Japanese TV show you never saw. Usually, an author misses on one of the big things like plot, character, pacing, writing style. Ready Player One nails all of them. If it spends a little too much time caressing the pop-culture of the past and pining for its youth, it’s a small price to pay for a novel that will keep you up at 3 in the morning.